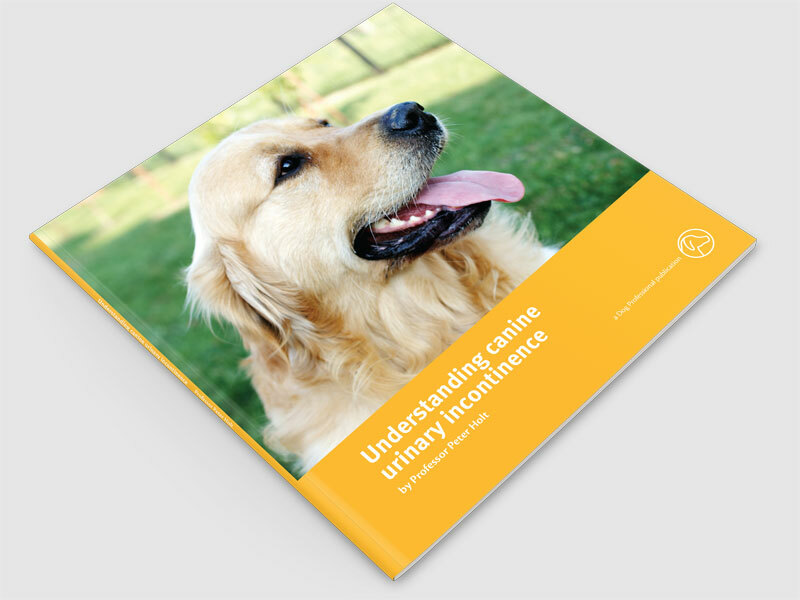 'Understanding canine urinary incontinence' has been written as an information source and support tool primarily aimed at owners whose dogs have been diagnosed with this condition. 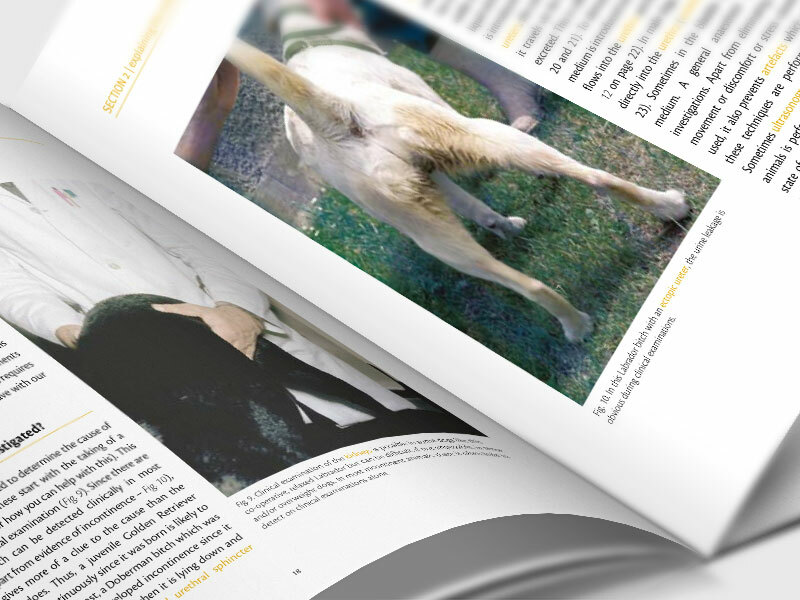 A 48 page fully illustrated book aimed at dog owners and veterinary professionals, launched October 2011. 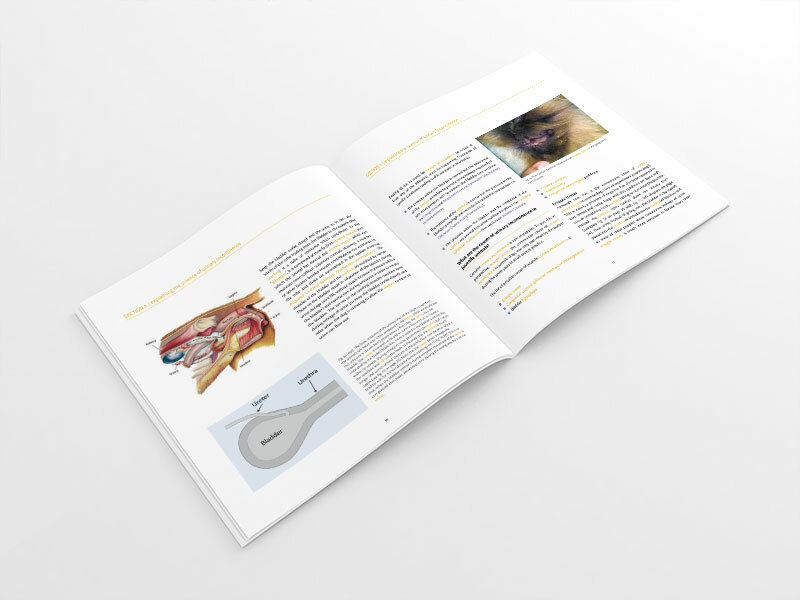 'Understanding canine urinary incontinence’ has been written as an information source and support tool primarily aimed at owners whose dogs have been diagnosed with this condition. It is also designed to be a resource for student veterinarians, veterinary nurses and technicians. The book explains what causes incontinence, how this is diagnosed and treated. There is practical advice on caring for dogs suffering from incontinence, two case reports and a glossary of terms used by veterinarians. This book provides a comprehensive review of the common and not so common causes of urinary incontinence in both male and female dogs. Particular emphasis is placed on the common causes of urinary incontinence in puppies and adult animals and on the investigations and treatments that are available and what the response to therapy might be. It should prove invaluable to any pet owner with an incontinent dog struggling to understand this complex range of conditions. It will help them to prepare for visiting their vet, to know what questions to ask and what information may be required of them and to understand the treatments and investigations that have been recommended. The text will also prove useful to veterinary nurses and general practitioners who wish to review this topic. The author’s vast experience of investigating and managing incontinent dogs shines through and the text provides a balanced commentary on the subject. Understanding Canine Urinary Incontinence also begins with an introduction addressing the emotional aspect of coming to terms with an incontinent dog. The causes of, and investigations into, incontinence, in both juvenile and adult dogs are explained in illustrated detail. Medical and surgical treatment options for each are discussed, as are long-term care and euthanasia. There are two case illustrations, a glossary, and references to further information. This book, with its excellent radiographs, will captivate the client with a medical interest, although parts of it may be overly complicated for some people. These beautifully presented books come from a range aimed at owners whose pets have a particular diagnosis. I look forward to reading the other books in the series, as they are extremely informative, although occasionally may be a little daunting to those unfamiliar with so much medical terminology. What can genuine urinary incontinence be confused with? What problems does it cause the dog and its owners? How is continence controlled normally and how might this control be lost? What are the causes of urinary incontinence in juvenile animals? What are the causes of urinary incontinence in adult animals? How is urinary incontinence investigated? What are the options for treating urinary incontinence? What outcomes can be expected for individual treatment methods? What long-term care might be needed for a dog with incontinence? Peter qualified as a veterinarian in 1970 and much of his career has been dedicated towards finding solutions for canine urinary incontinence. 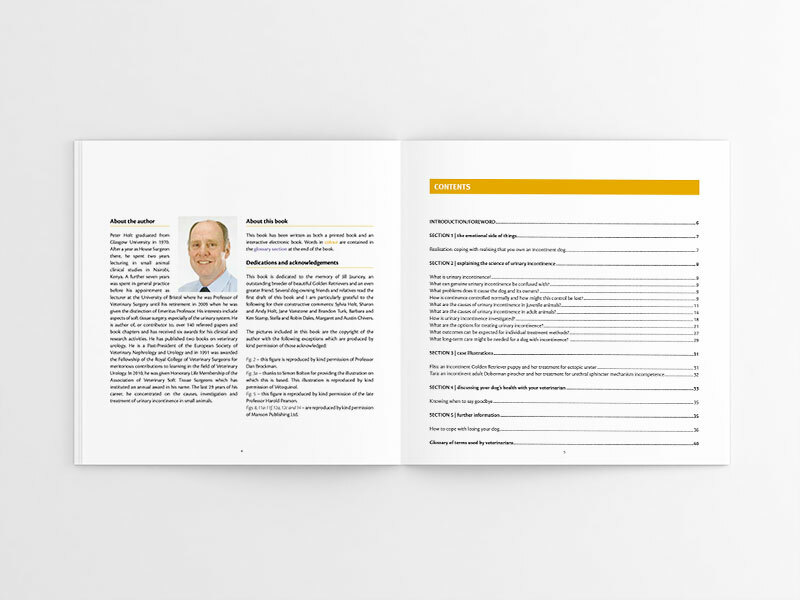 Peter has authored many scientific papers and books aimed at veterinary professionals. Peter lives with his wife in England and his detailed biography can be found here.